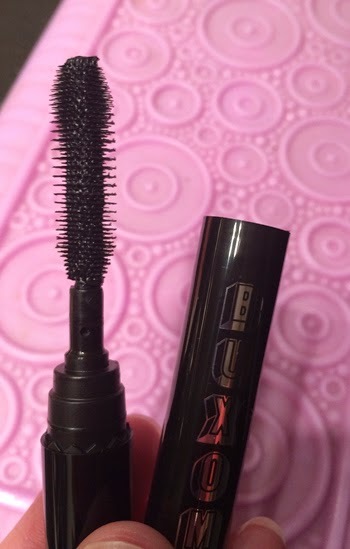 THE SKINNY: I was fascinated by the fun little wand inside the mini tube of Buxom Lash Mascara, but it wasn't as great as I had hoped for. The formula was a little too thick and gooey for my taste. It tried to stick to lashes and stick lases together. It took a little extra work to get nice and even separation. After that it looked really good and was not flaky. But I wanted the application to be so much better. There are too many options to fight with your mascara. KEEP OR TOSS: On the fence. OK as a sample, but I would not buy it. CHECK IT OUT: Buxom mascaras comes in full and mini sizes at Sephora.